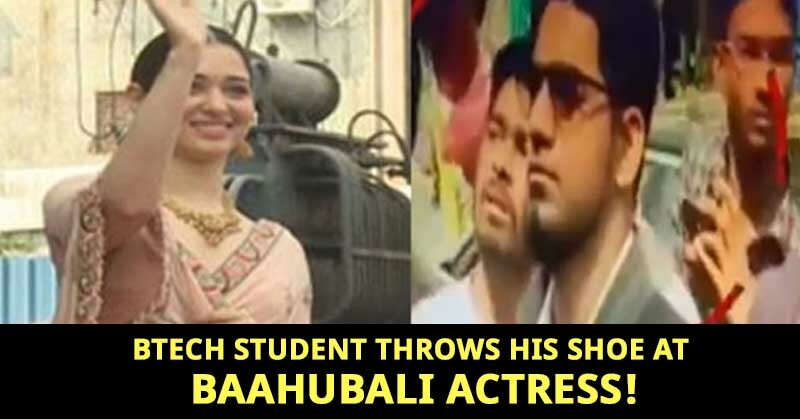 A Man Threw His Shoe At 'Baahubali' Actress Tamannaah Bhatia! 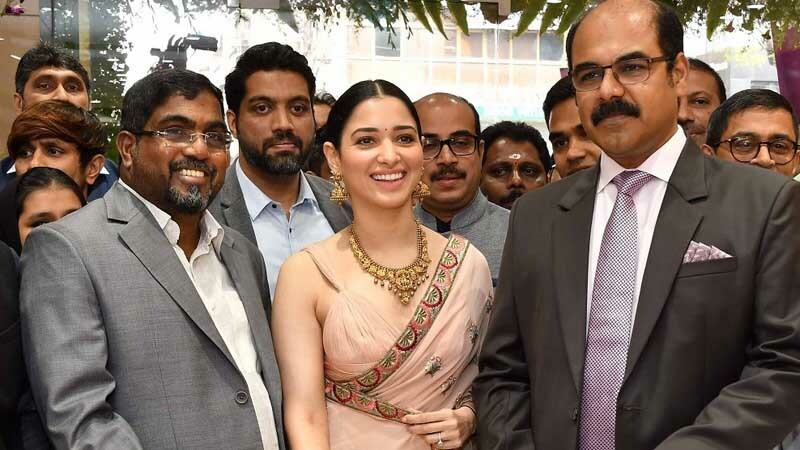 A footwear was today allegedly hurled at “Baahubali” actress Tamannaah Bhatia at Himyathnagar in Hyderabad by a 31-year-old man, during a function, police said. The footwear was thrown when the actress had gone to inaugurate a jewellery store, they said, adding that it hit an employee of the store. This created a chaos in the public and the alleged man was immediately caught by the police on spot. 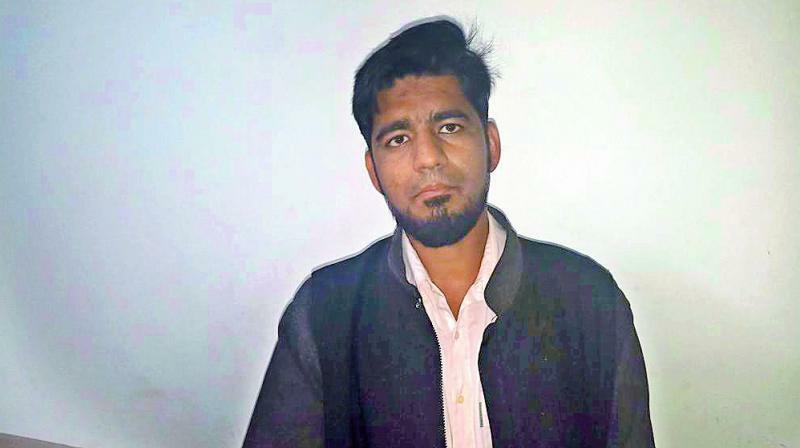 Karimullah, a B Tech graduate, and a resident of Musheerabad allegedly hurled a footwear while the actress was coming out of the store, Narayanguda Police Station Inspector B Ravindar told PTI. 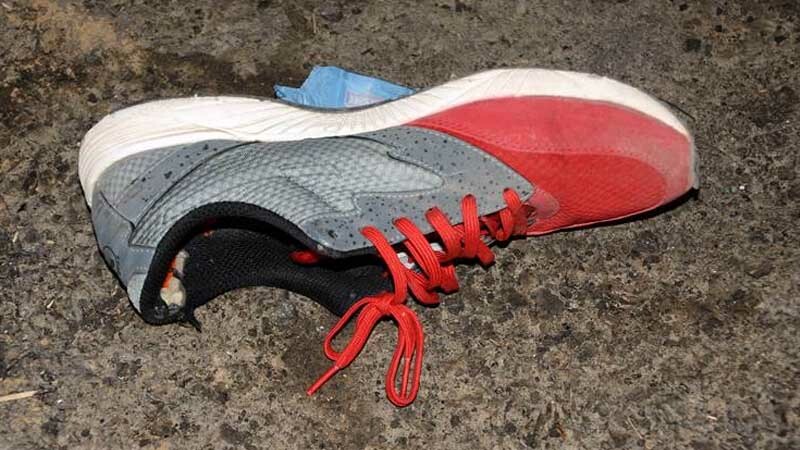 “The footwear missed its target, while it hit an employee of the jewellery store,” the officer said. According to police inspector B Ravinder, Kareemullah had no intention of attacking the actress but was upset with the bouncers for stopping fans from meeting her. The incident happened in the commercial centre of Narayanaguda in the city. 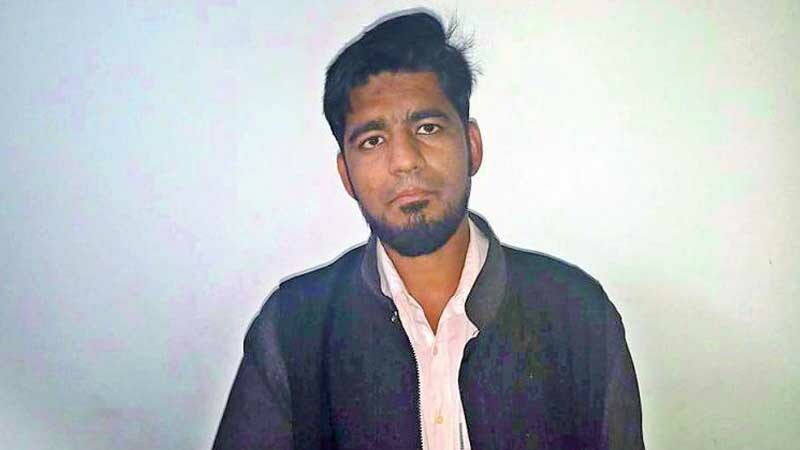 “Karimullah was immediately detained and during questioning revealed that he was apparently frustrated over the roles played by the actress in her recent movies,” the inspector said. 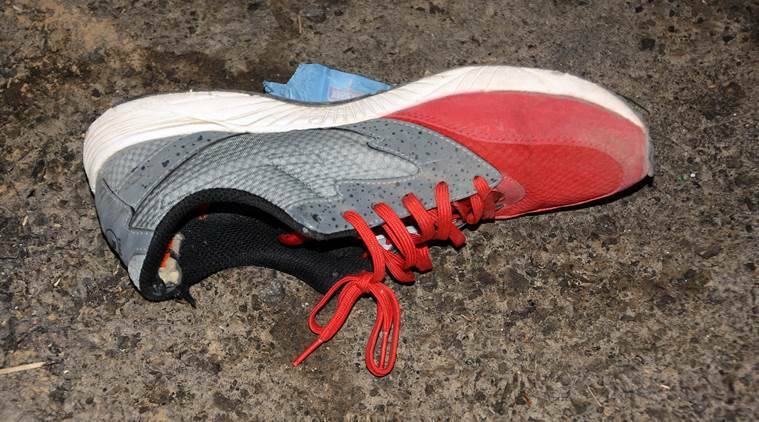 However, following a complaint by the employee, who was hit by the footwear, the police registered a case under relevant IPC sections against Karimullah. 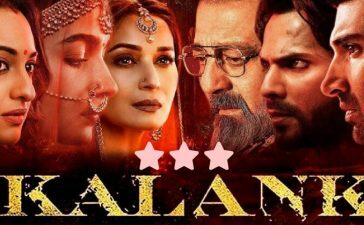 Tamannaah Bhatia rose to fame following her roles in blockbusters “Baahubali: The Beginning” and “Baahubali 2: The Conclusion”. She has also acted in Telugu, Tamil and Hindi movies. 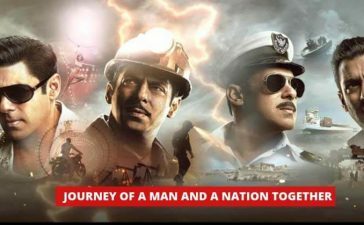 She also has worked in many south Indian movies before she entered Bollywood. 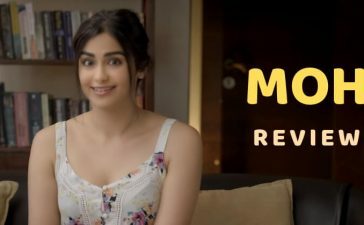 She has emerged as a great actress with her amazing acting and charm. Karimullah was arrested later. 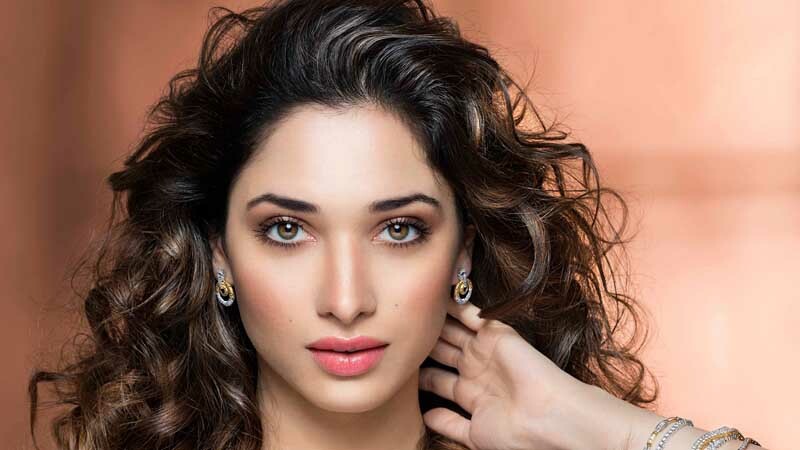 This incident was shocking for the actress Tamannaah Bhatia. 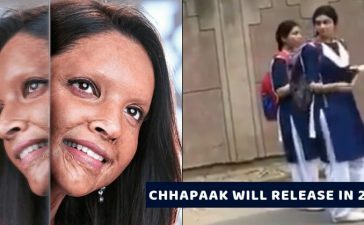 Now that the man is arrested, the case is being looked upon. For more such gossip, read, These Tollywood Actress Has Most Number Of Followers On Instagram.